Hi! My name is Witold Sadowski and I am the founder of BlackerFriday.com. I have an MBA from California Polytechnic State University (Cal Poly), San Luis Obispo, CA and a BA in Business Economics from the University of California, Santa Barbara, CA. After many years as a Sr. Manager working in the online marketing industry for companies such as Adobe Systems, Commission Junction, and Coupons.com, responsible for direct revenues of up to $50+ million annually, I decided it was time to take a break from the corporate world and started Blacker Friday in 2012 to pursue my real passion — helping people save money. Ever since I was a little boy selling pencils in the playground to my kindergarden friends, later collecting aluminum cans from all my neighbors in elementary school to support my baseball card addiction, eventually becoming an eBay Power Seller in my older years to support my college education, I had an eye for spotting deals. 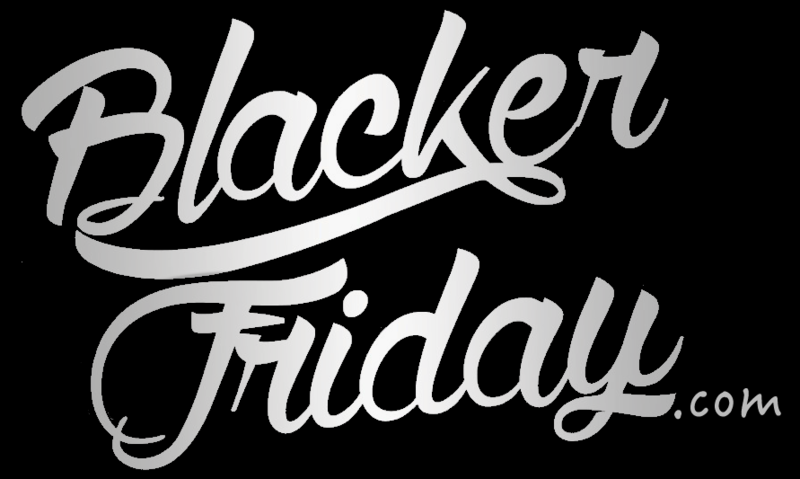 I’ve taken what I have learned over the years and built Blacker Friday to bring you the best Black Friday rumors, predictions, and news website. Fortunately I'm not alone in this - We have a great team of dedicated folks helping make this site possible. If you would like to connect with me you can do so on my Linkedin page, on our site’s Facebook page, or write me an email. Thanks for checking us out and I look forward to hearing from you! $5.00 off the Deluxe online version of TurboTax — Choose from either the standard version or the new TurboTax Live version. Follow the link to apply the discount. You have until midnight Pacific Time tonight, on April 15, 2019 to take advantage of this offer. $10.00 off the Premier online version of TurboTax — Same as above, you have until 11:59PM PST this evening (April 15, 2019) to take advantage of this offer. $15.00 off the Self-Employed online version of TurboTax — This offer also ends on midnight tonight, April 15, 2019. 29% off the Quickbooks/TurboTax Self-Employed Bundle — If you already use Quickbooks to run your business accounting, then this offer is definitely worth taking a look at. Most TurboTax CD/Download versions on sale this week — If you prefer the CD/Download version of TurboTax then it’s unlikely you’ll find a better sale price then at Amazon. Most versions are discounted and, as an authorized reseller, give you the option to download and install your copy of TurboTax moments after you complete your order. That’s helpful because you can get started on your return right away without having to wait for the physical disc to arrive in the mail. Military discount — All E1 through E5 ranking military personnel can qualify for free federal and state filing TurboTax Deluxe. If you need Premier, Self-Employed, or TurboTax Live then it’s no longer free, but as a active military employee you’ll get at lest $5 off your TurboTax purchase. E6 and above ranking military personnel get a $5 off discount on all TurboTax online federal products regardless of the version purchased. Do I need to apply a promo code to activate my TurboTax discount? No you don’t. That’s because all of offers posted above already have the appropriate discount codes embedded in the links; just click through and you’ll see the offer applied to your purchase. This is typical of TurboTax. What’s a TurboTax “Service Code”? If you decide to work through your tax return this year using the online version of TurboTax (the most popular option for most folks) you’ll notice a “service code” box once you approach checkout. The naming is confusing, but it’s just an area where you can enter a code if one was given to you from Intuit’s customer support team. From a case to case basis, their team sometimes issues codes to customers to either track a purchase back to a support agent or to apply a make-good price adjustment. What other offers are available for me? We here at Blacker Friday are working around the clock to track all of the most popular offers available this tax season. However, there are other offers available out there, most notably for select banking and financial institution customers. For example, if you’re an American Express card holder then you can login to your online account and very this week’s available offers. The same goes for any of your other banking accounts, i.e. Bank of America, Citibank, Wells Fargo, etc.. These offers tend to come and go — usually not available all tax-season long— and will vary depending on what type of customer you care (corporate, individual, high-wealth, etc.). It’s worth taking a look into your account to see if there is anything special available. Which version of TurboTax should I choose? If you’re filing a joint tax return, have multiple investments or W2 forms coming in, then it can be overwhelming when choosing with version of TurboTax to choose. You don’t want to start off a higher version than needed because not only is it not needed and more expensive to purchase, but also hard to downgrade as you’ll need to start over if switching to a lower version. That’s why we recommend starting off with the lowest versions of TurboTax online… and that’s the “free” versions. Once you start filling out your return and adding your tax forms and income information, the program will guide you to the correct version of the software as you go along. When’s this year’s tax deadline? Because of holiday and weekends these last few years on April 15th the tax deadline was pushed out a day or two. That’s not the case this year. You’ll have up until April 15, 2019 to file your tax return and pay any taxes you owe or to file a tax extension. If you are granted a tax extension then you’ll still need to pay any estimated taxes owed prior to April 15th in order to avoid any late fees or interest charges.